Fujifilm X-mount Lens. 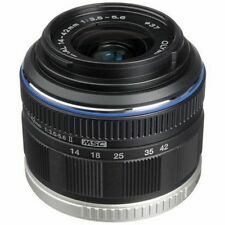 - 27mm Focal Length (35mm Equiv: 41mm). - HT-EBC Lens Coating. Colour Black. Features and Specification. International Warranty. 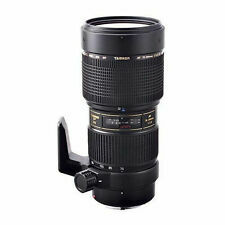 New ListingNikon Nikkor AF-S 28-300mm f3.5-5.6G Nano VR lens, EX + condition! 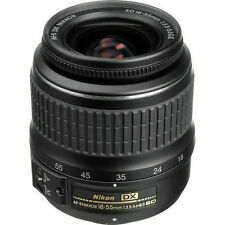 4.5 out of 5 stars - Nikon Nikkor AF-S 28-300mm f3.5-5.6G Nano VR lens, EX + condition! 108 product ratings108 product ratings - Nikon Nikkor AF-S 28-300mm f3.5-5.6G Nano VR lens, EX + condition! New ListingNikon Nikkor AF-S 105mm f2.8G Nano VR Micro, Macro lens, EX +++ condition! 5 out of 5 stars - Nikon Nikkor AF-S 105mm f2.8G Nano VR Micro, Macro lens, EX +++ condition! 16 product ratings16 product ratings - Nikon Nikkor AF-S 105mm f2.8G Nano VR Micro, Macro lens, EX +++ condition! 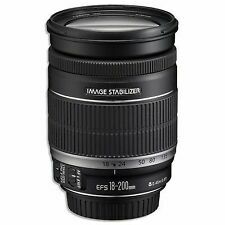 Ending 5 May at 22:12 EDT9d 22hTop Rated SellerType: PortraitBrand: CanonSeries: Canon "L"
New ListingNikon Nikkor AF-S 70-300mm f4.5-5.6G IF-ED VR lens, EX + condition! New ListingNikon Nikkor AF-S 70-200mm f4G Nano VR lens, EX + condition! 5 out of 5 stars - Nikon Nikkor AF-S 70-200mm f4G Nano VR lens, EX + condition! 23 product ratings23 product ratings - Nikon Nikkor AF-S 70-200mm f4G Nano VR lens, EX + condition! Fujinon`s HT-EBC lens coating reduces reflections at a wider wavelength and minimizes flares and ghosting. Its minimum focus distance is 13.4". 1 x Fujifilm XF 27mm f/2.8 Lens (Silver). Fujifilm X-mount Lens. AF-S NIKKOR 14-24MM F/2.8G ED. An optical masterpiece. It takes crisp, beautiful images; Considered essential glass for serious photographers who demand the best photos and HD video. Glass is clean with no scratches or marks. We love unique and unusual things! Good working condition. Trending at C $96.17eBay determines this price through a machine-learned model of the product's sale prices within the last 90 days. MFR# 20062. Nikon AF-P DX NIKKOR 70-300mm f/4.5-6.3G ED VR Lens. The AF-P series of lenses uses a special pulse motor AF system which uses stepping motors for smooth, silent focusing during both stills and video shooting. Trending at C $209.00eBay determines this price through a machine-learned model of the product's sale prices within the last 90 days. The process of multi-coating assuresvirtually flare free photographs even under adverse lighting conditions resulting in crisp, high contrast pictures. This is a manual focus lens and has an aluminum alloy body. AF-P Nikon Nikkor Dx 70-300mm f/4.5-6.3G ED. New ListingBeautiful Olympus Zuiko Digital Micro 4/3rds 75-300 mm Lens, Ext'd. Warranty! 15 month old Olympus Zuiko 75-300 mm lens. It has a Micro 4/3rds mount. The lens weighs 423 g (14.9 oz). 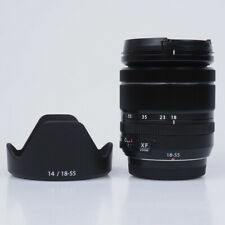 A lens hood is available optionally for this lens. Everything including the glass, looks pristine. 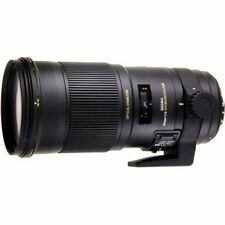 New ListingSUPERB TAMRON 70-300mm MINOLTA A/SONY ALPHA MOUNT AF ZOOM LENS - EXCELLENT! Tamron AF LD 70-300mm 1:4-5.6 lens. Minolta AF bayonet mount. Compatibility: All Minolta AF and Sony Alpha Bayonet mounts. The focus and zoom rings have a smooth action and all electronic functions work correctly. In my lens optical schema remains intact! Smooth and precise operation of focusing and aperture rings. Minor signs of use on the body. Optics has only few micro cleaning traces and few dust specks inside. Trending at C $94.32eBay determines this price through a machine-learned model of the product's sale prices within the last 90 days. Nikon AF-P DX NIKKOR 18-55mm f/3.5-5.6G VR Lens. Nikon F (DX). Lens mount. Max Format size. In case of below conditions. Distance scale. Aperture ring. Minimum aperture. Please be aware that this is a manual focus lens. Practice is required. Bright sunlight and a sturdy tripod is recommend when using this lens.The Opteka 650-1300mm high definition manual focus super telephoto zoom lens is perfect for. This Sigma auto focus lens is in excellent condition. Auto focus is smooth and the aperture blades are clear of any oil. Panasonic Lumix G Vario 12-32mm F/3.5-5.6 ASPH. Focal Length 12 - 32mm. Format Compatibility Micro Four Thirds. Weight 2.47 oz / 70 g. Minimum Focus Distance 7.87" / 20 cm. Comparable 35mm Focal Length: 24 - 64 mm. You are buying a massive Sigma 400mm lens. I am not a camera guy so I don’t know all the details about the lens but it looks well cared for, includes original box and paperwork. There are no scratches of the body or lens, but there is one tiny nick on the lens that I can feel with my fingernail(see photo 12), there is also a little scrape on the metal edge of the end of the lens(see photo 11) otherwise it looks perfect. There is no corrosion or mold, it turns smoothly, and all the switches appear perfect. The camera connection end looks clean and perfect. I included (12) photos, please ask any specific questions if the photos don’t show what you need. I urge you to check my other 400 listings, I have some really cool stuff over a wide variety of categories. Thanks. 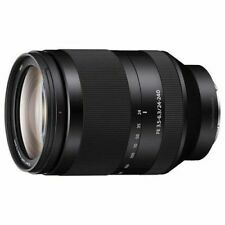 New ListingFuji Fujifilm Fujinon XF 60mm f 2.4 R Macro Lens **NEAR MINT** 3-5 Day Delivery! 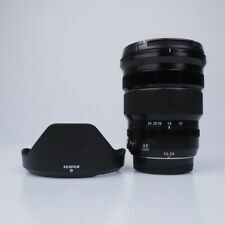 Fujifilm Fujinon XF 60mm f/2.4 R Super EBC Macro Lens in NEAR MINT CONDITION . IMPORTANT: The lens has a one-year warranty, issued by Fujifilm (Thailand), with nine months of the warranty still remaining. Camera lenses are available in different types and styles for amateurs through professional photographers. When considering a new lens, think through the purpose of getting it first. Consider the types of features that you would most prefer in a new camera lens. What are the types of camera lenses? Standard: These general-purpose full frame lenses usually offer wide-angle possibilities along with moderate telephoto options. A typical standard offers a range from 16 to 85 millimeters with an F-stop range from 3.5 to 5.6 or a range from 17 to 55 millimeters with an F-stop of 2.8. Telephoto: These lenses allow you to get closer to your subject. A typical one offers a range from 55 to 200 millimeters with an F-stop range from 4.5 to 5.6 or a range from 75 to 300 millimeters with an F-stop range from 4 to 56. Superzoom: These lenses combine the benefits of a telephoto lens and a standard lens. A typical superzoom lens offers a range from 55 to 200 millimeters with an F-stop range from 4.5 to 5.6 or a range from 75 to 300 millimeters with an F-stop range from 4.5 to 6. Macro: These fixed-focal-length lenses are designed to let you get close to small objects. A typical macro lens is 60 millimeters with an F-stop of 2.8. Screwdrive: These lenses rely on the camera's body to do the focusing. Micromotor: These lenses use a DC motor and a gear train to focus the image. Linear Stepper: These lenses have a brushless motor, making them a quiet option. Ultrasonic-type: These silent lenses can be overridden with full-time manual focus. Some companies refer to these lenses as hypersonic, silent wave, or silent drive. How do you choose a new lens? Select lens mounting system: Look in the manual to find the lens mounting system as different systems use various methods to mount lenses. The age of your camera also makes a difference. Select focal length: Consider what you plan to photograph so that you can choose the correct focal length. Select aperture: The F-stop determines how much light the lens is equipped to gather. Select image stabilization software: Some lenses offer the ability to eliminate hand shake from photos. Select format: Different lenses offer different formats, but it needs to match the camera's body.